I cannot overstate how much help Jean Donaldson’s book Mine! 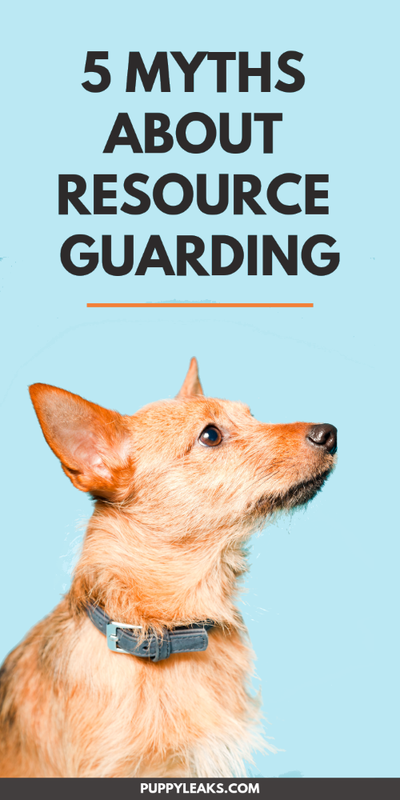 A Practical Guide to Resource Guarding has been when it comes to managing my own dog’s resource guarding. It’s a book I highly recommend to anyone that’s dealing with guarding issues. The best starting point for anyone managing guarding issues with their dog is understanding the behavior itself. Dismissing previously held beliefs and ideas about resource guarding allowed me start training my dog, rather than analyzing the situation. Once you understand the behavior you can manage it with a fresh perspective — one with more optimism and a lot less frustration. What is resource guarding anyway? Resource guarding is when your dog controls access to his possessions by displaying defensive body language or aggressive behavior. Dogs most often tend to guard their food (it’s often just called food aggression), but their humans, toys, beds, and their favorite spot on the couch can also become targets. 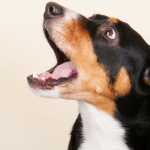 Does your dog growl or snap if you approach his food? That’s classic resource guarding. Does he actively try to keep other dogs away from your when you’re at the park? That’s not protection — it’s resource guarding. Your dog has decided that you are his and he’s going to protect his resource – you – from other competitors. One of the first steps I took in learning to manage my dog’s resource guarding was picking up Jean Donaldson’s excellent book Mine! A Practical Guide to Resource Guarding. As I began reading I realized all my previously held beliefs about my dogs behavior were wrong. 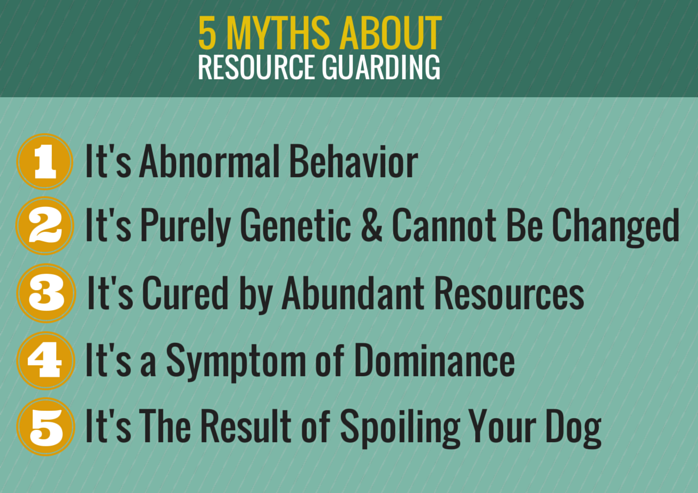 She excellently lays out 5 myths about resource guarding that helps us understand that it’s not only a normal behavior, but that it can be managed. The danger in these widespread myths about resource guarding is that it can cause more harm than good. When you punish a dog for guarding his resources you’re not helping the underlying issue – trust. Instead you’re creating a dog that is more fearful and less confident, which can lead to more problems with aggression later on. Resource guarding isn’t an “easy” behavior to fix, but it is manageable. One of the first steps is understanding that not everything you’ve heard about the behaviors is true. The first common misconception about resource guarding is that the behavior itself is abnormal. Is it an undesirable behavior? Yes, but it’s not abnormal or unusual. Guarding food and highly coveted objects is something dogs have been doing for ages. Wolves wouldn’t be nearly as successful if they didn’t have the ability to defend their resources. In a natural environment these adaptive traits give dogs an advantage. If your dog is a resource guarder and had to suddenly fend for himself tomorrow he’d have a natural advantage over non-guarders. Of course this isn’t to say that resource guarding is a desired behavior in a home where they’re given food and objects freely – it’s just pointing out that guarding is normal. The sad fact is that although there’s been a few studies done on the probability of dogs exhibiting resource guarding no one actually knows why some dogs have it and some don’t. It’s been seen in all breeds and in all ages. Genetic programming may indeed make certain behaviors easier to learn for some dogs but there is no clear correlation between how much a behavior is thought to be genetic and its susceptibility to behavior modification. When asking yourself whether it’s nature or nurture the answer is going to be both. So we can’t say that “it’s all how they’re raised” or “it’s because of his breed.” There isn’t enough good data to support either claim. For further reading on the possibility of resource guarding being genetically driven be sure to check out Patricia Mcconnell’s great article “Resource Guarding: Treatment and Prevention” where she shares her own experiences and observations about working with the behavior. The logic based approach of giving a dog so many resources he couldn’t possibly need to guard makes sense in the human mind, but unfortunately dog’s don’t see it this way. Before I began actively managing my dog’s resource guarding she had access to all of her toys at any given time. Instead of giving her comfort and less stress it made her focus more on hiding and protecting her “possessions” at any given time. So many previously held beliefs about dogs have relied on using social hierarchy models to explain dog behavior. We’ve all heard about dominance theory and how important it is to be a dominant leader for your dog. Unfortunately resource guarding as well as many other common behavioral problems don’t respond well to dominance or punishment based training. In most cases they can make it much worse. 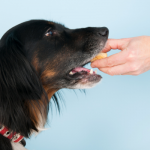 Managing a dog with resource guarding is done through desensitization and counter conditioning. When a dog stops guarding his food and toys after counter conditioning and desensitization is he less dominant? If dominance is part of a relationship rather than a trait how can desensitization and counter conditioning exercises change the relationship? 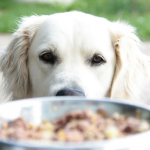 Resource guarding is commonly seen in dogs who lack confidence. It is a fear based behavior, not one that’s displayed by dogs trying to be overly assertive or dominant. Resource guarding can crop up in any dog regardless of age, breed, or history. Dogs with varying degrees of obedience training can develop guarding behaviors – it’s an equal opportunity behavior problem. There is no evidence to suggest that dogs with poor manners or ones that lack simple obedience training are more likely to develop guarding behaviors. If your dog is a resource guarder keep in mind that he’s exhibiting fear and stress; he’s not trying to dominate you. 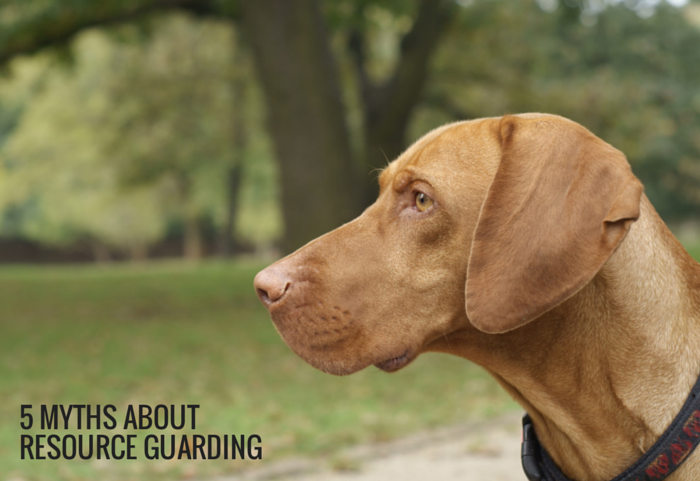 With patience, consistency, & the proper training approach you can manage your dogs guarding. With the proper training approaches and techniques you can learn to manage the behavior. Desensitization and counter conditioning work very well on dogs that exhibit resource guarding. Don’t get discouraged when you don’t see results right away – it is a very long process. Just getting near my dogs food bowl without her growling took months. It takes a lot of patience and consistency but it’s worth it for your sake and for your dogs well being. Dogs that guard items feel threatened and stressed. It’s not a great feeling to know your dog feels threatened by your presence around his “possessions” but once I realized my dog was even more stressed out than I was I knew I had to commit to making things better for the both of us. I’m definitely going to look in Patricia Mcconnel’s work – thank you so much for the tip. The studies I was finding on RG were usually tested on Golden Retrievers – it seems that there’s a pretty popular belief that they have a high tendency to develop RG, I’m always looking for more information on the subject so thank you for sharing the info about Mcconnell. I have read that book as well. I deal with resource guarding. While I have not been able to “fix” it, I do manage it. This is something I need to learn more about. Theo is very much a resource guarder of toys and food with the other dogs. He eats about ten feet away from the other dogs and it isn’t a problem. But if I’m giving a treat that can’t be eaten in 2 bites, I put him in the crate to minimize everyone’s stress. I do think he has calmed down quite a bit since we first adopted him. I wish I knew more about resource guarding between canines; it’s something I’ve been researching but unfortunately I haven’t found a lot of great information. It’s something that lots of dog owners have issues with; it’s so easy to control ourselves when it comes to training but when you add other animals into the mix it becomes so much more complicated. Excellent post. I would not completely dismiss dominance as cause for resource guarding. I think the key to dealing with it is to try to discover the cause in any particular dog. Freighter tries it once in a while and it is just him trying to asset himself with two other dogs in the house. I think if he was an only dog he would not bother. This you might find interesting. We saw a bit of genetically driven resource guarding from Storm over the weekend. In fact it was classic. When Chessies were first bred (way back in the 1800’s so a long time ago), they were bred as duck dogs for the market hunters. They selected dogs who could retrieve in the ocean but also protect the boat, guns and birds. Those dogs were a bit snarky as I have heard. Over the years breeders have been selecting for a more moderate temperament because most are now hunting companions. But that DNA is still there. After our pheasant hunt, we had the birds in a tub in the back of our truck. Storm and Freighter were in their crates also in the back of the truck. We ran into someone that we new at the pheasant preserve and she stepped over to the truck to look at our birds. Storm got up and started to growl at her. She sounded fierce. Storm is not one to growl, but you know her birds needed protecting…lol. Freighter was looking at her like what’s up? lol Genetics. Lol at Storm protecting her birds. 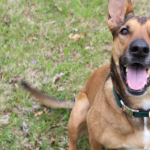 It sounds like something Laika would definitely do as well – she’s good with us now but we’re still working on her guarding from friends and more distant relatives. I am very interested in the genetic component for sure – I’m always looking for more research on it. We know that certain breeds have certain traits such as aggression or guarding that are more likely to appear but it is still so strange to have siblings react so differently. As Jen mentioned above there’s some evidence that perhaps newborn puppies start learning it right away; it’s so hard to say. I just wanted to dispell the myth that because your dog is a Shepherd or Golden Retriever that it’s just a matter of simple genetics. It seems that the nurture element plays an equal part. This is such a common problem with a lot of dogs. These myths are good information for anyone whose dogs is struggling with this, especially the myth about the dog being dominant or pushy. Yes unfortunately it’s pretty common especially around food; and it’s hard to “fix” because it does just come off as aggression/dominance. Realizing that those are based off of deep seeded fears from my own dog helped me come up with a much better positive management plan. As far as training goes it’s resource guarding that I’ve found to be the least intuitive – it really is much different than what it appears to be. It’s not outright aggression because they’re dominant, they’re extremely fearful and threatened. The more I learn the more I realize I was looking at it from all the wrong angles at the beginning. That is really interesting! One of my dogs “gurards” all the toys and won’t let my other dog play with them. No matter how many toys or bones she has, she wants them all ! At least I know she’s not trying to dominate my other dog. We are working on behaviour modification, slow conditioning, and basically avoiding triggers to reduce stress when not actively working on them. This applies to reactivity and resource guarding. Some weeks it feels like we make no progress as very slow. Wish I had more time and energy. I am still considering stress medication. Very informative post. Thanks for the lead on the book. One of our Huskies will resource guard toys. She can be talked through it, but she has done it since day 1. The others simply ignore her, but then she’ll add their toys to her “guarded” pile as well, and the she even falls asleep on top of them! If one of the other Huskies walk by, she’ll let out a yip, but as soon as one of us human family members come over, she rolls over and gives them up with a wag! I’ve found this article to be very interesting. My dog RGs me. Does anyone have any experience of this and how do they deal with it. I am currently working with an excellent dog behaviorist who has instructed me on how to deal with it but it would be good to hear from anyone who has the same “problem”. There are so many videos of dogs “protecting” their owners while out in public – and it’s actually the dog guarding the owner. My dog used to do that with me a few years back, and although it took a ton of work and training we seem to have gotten over that behavior now. A good behaviorist is the perfect person to go to for RG issues since they can help you work in a controlled environment, which isn’t easy to do when you’re trying it alone. I wish you the best of luck in your training. Thank you Jen for your encouraging reply, I’m determined to crack this!